EU official alleges NSA sought economic edge for U.S.
After two days of meetings in Washington -- including with the NSA chief -- European lawmakers said that President Obama must rein in surveillance. 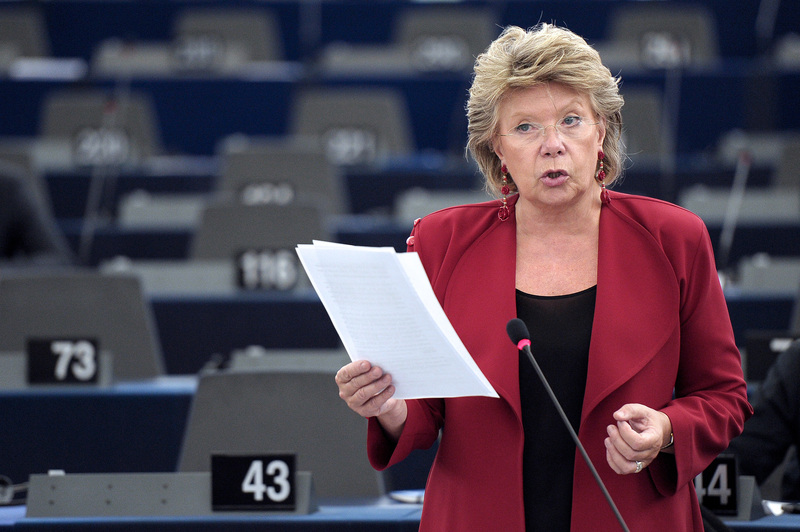 European Union Commissioner for Justice Viviane Reding told CBS News that any surveillance without court approval would be criminal. "Services are not on their own," she said. "They are based on laws which come from politicians and politicians should go back to control." But neither Reding nor European lawmakers were able to say whether their intelligence agencies willingly gave the information to the NSA. German parliamentarian Elmar Brok said the U.S. operation to bug Chancellor Angela Merkel's phone crossed the line. NSA spying: Will Obama end surveillance program on world leaders? "It's very clear that the telephone of number of Mrs. Merkel was found in American files -- espionage files that's the case and that's a fact," Brok said. "And if it comes there via Spain or France, it's a different story and that is also not in order." NSA snooping on foreign allies: What did Obama know? European lawmakers are also accusing the U.S. of probing financial transactions and Reding questioned whether the U.S. used security as an excuse to gain an economic upper-hand. "Why are you sucking up information and why are you listening to the phone of a head of state, head of government?" she asked. "Why you listen to the phone of millions of innocent Europeans? This has nothing to do with fighting terrorism. Maybe it has to do with getting commercial secrets to be sucked out." Reding will meet with U.S. Attorney General Eric Holder in two weeks. On Tuesday, the State Department said more countries requested information about U.S. surveillance including: the United Kingdom, Spain, Italy, Mexico, Colombia, Peru, Brazil, South Korea and India.